The street just got fiercer with Erzulliesta Monica walking on it! 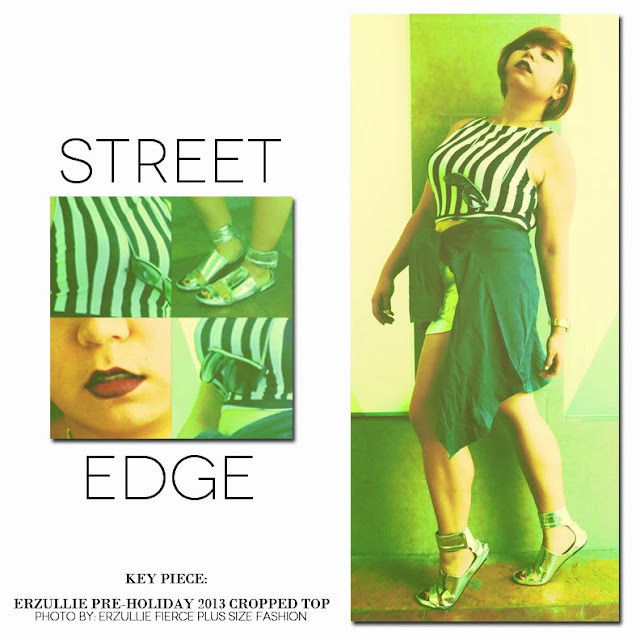 Check out this edgy look featuring Erzullie’s Pre-Holiday 2013 cropped top! Adorned with ripped jeans and a simple long sleeved button down on the hips, this look seems to naturally flow in terms of style, making it look more natural rather than heavily styled. Glammed up with some chained sunnies and metallic sandals, you can never go wrong with this look. Hope this inspires you to get your street edge on too!